Gurugram : Prime Minister Narendra Modi on Monday inaugurated the Kundli-Manesar section of the Kundli-Manesar-Palwal (KMP) Expressway in Haryana. 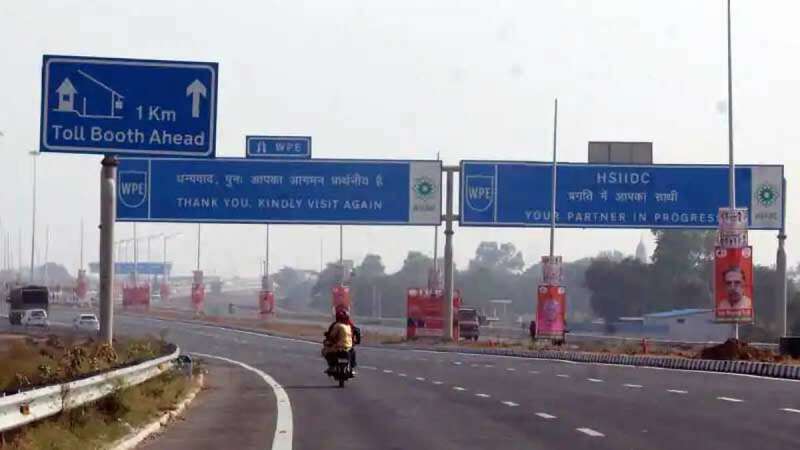 The Expressway, which will provide an alternative route to vehicles to go towards Uttar Pradesh and Rajasthan, was expected to help ease traffic flow, especially of heavy vehicles, through the national capital. The 53-km Palwal-Manesar section was inaugurated in April 2016. Haryana Chief Minister Manohar Lal Khattar said that the Expressway would lead to more development of the National Capital Region (NCR) here. He said the 83-km Kundli-Manesar section was completed four months ahead of the revised deadline. The Prime Minister also inaugurated the Ballabhgarh Metro and laid the foundation stone for the Haryana Vishwakarma Skill University in Palwal. The original completion deadline for the 135-km KMP Expressway was July 2009 but the project got mired in controversies and litigation with deadlines being continuously extended. The initial cost of the project was Rs 1,915 crore. The six-lane expressway passes through five districts in Haryana: Sonipat, Jhajjar, Gurgaon, Mewat and Palwal. The Expressway would connect four major national highways -- Delhi-Ambala-Amritsar, Delhi-Agra-Varanasi-Dankuni, Delhi-Jaipur-Ahmedabad-Mumbai and Delhi-Hisar-Fazilka-India-Pakistan border. It was expected to significantly reduce the traffic from north Indian states to central, western and southern parts and vice versa. The Haryana government has announced plans to develop five new cities over an area of 50,000 hectares on each side of the KMP Expressway.